Your toothbrush can play a big role in your daily routine. It can keep your teeth healthy and bright. But a newer, cleaner toothbrush could also play a key part in your overall health. Your mouth is the gateway to your body and is a great place for harboring bacteria that can make you sick and cause tooth decay and gum disease. -Don’t share your toothbrush with others! -Thoroughly rinse your brush after each use to remove any remaining toothpaste and debris. -Don’t store all the family toothbrushes in one container and don’t share toothpaste with someone who is sick. You will transfer germs. -Make sure your toothbrush is dry before placing it inside a toothbrush cover. Bacteria thrive in warm, moist places. -Wash your hands before and after brushing if possible – they carry additional forms of bacteria. 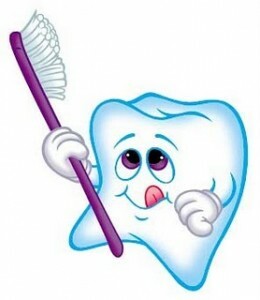 -Don’t forget to replace your toothbrush every 3-4 months or when the bristles start to fray.